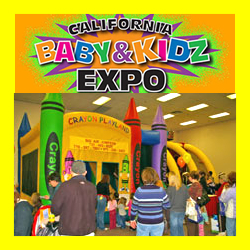 The annual California Baby & Kidz Expo is the SAN FRANCISCO- BAY AREA’S ANNUAL FAMILY EXPO – “The Parent, Baby, Toddler & Child Expo”. What makes this great is that we make this outing affordable for families!!!. Adults are $10(buy tickets on the website and save $2) 65+:$5 and kids 12 & under are FREE. Yes you heard it correctly: F R E E.